Betsy Werley is Encore.org’s Director, Network Expansion. She has dedicated this phase of her career to building the encore movement and making later life a time of opportunity and contribution. Betsy moved to the nonprofit sector in 2005, as The Transition Network’s first Executive Director. She led that organization through a growth phase from one chapter to 12. Her encore transition was profiled in Marc Freedman’s The Big Shift and Kerry Hannon’s What’s Next? In her Transition Network role, she was a founding member of Coming of Age New York City and the Encore Network Steering Committee. Betsy joined Encore.org in 2013 as an Innovation Fellow, expanding connections between Encore.org and on-the-ground programs in the US and around the world. Betsy spent the first 26 years of her career as a corporate lawyer and a business executive at JPMorgan Chase. She served as a long-time board member and President of the Financial Women’s Association, and in 2002, launched a mentoring program for Baruch College undergraduate women business majors. In 2017 she received Baruch’s Community Partner Award for her leadership of that program. 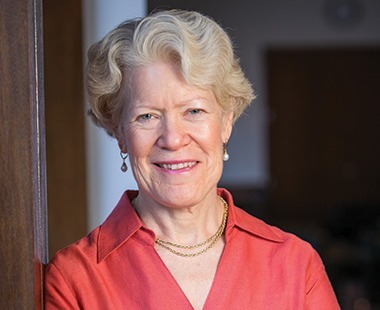 Betsy has also been honored as the 2019 recipient of the PSS Impact Award for Leadership in Positive Aging. Betsy is frequently quoted by the media and invited to speak on issues related to older adults as assets in society.